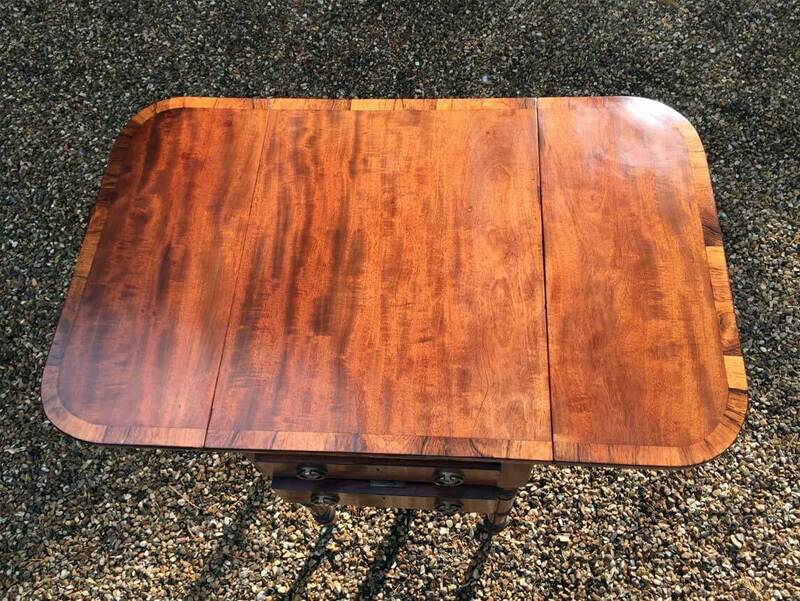 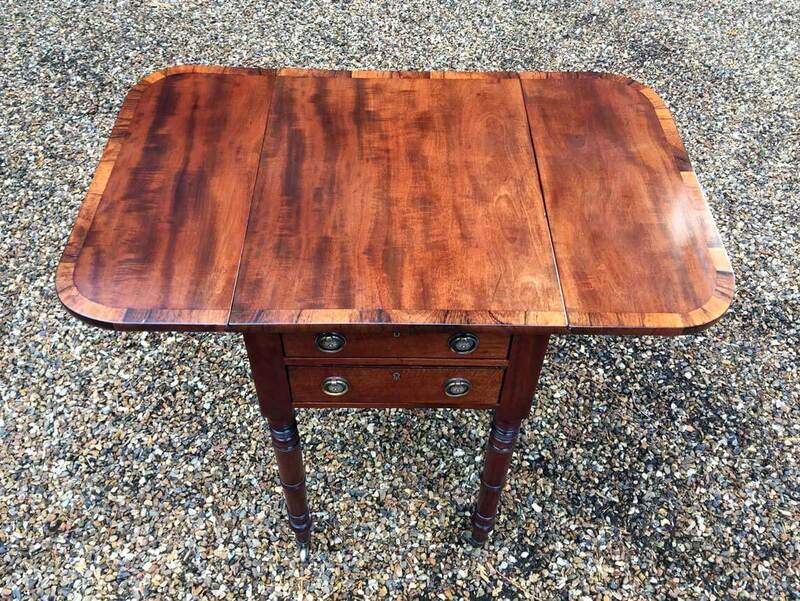 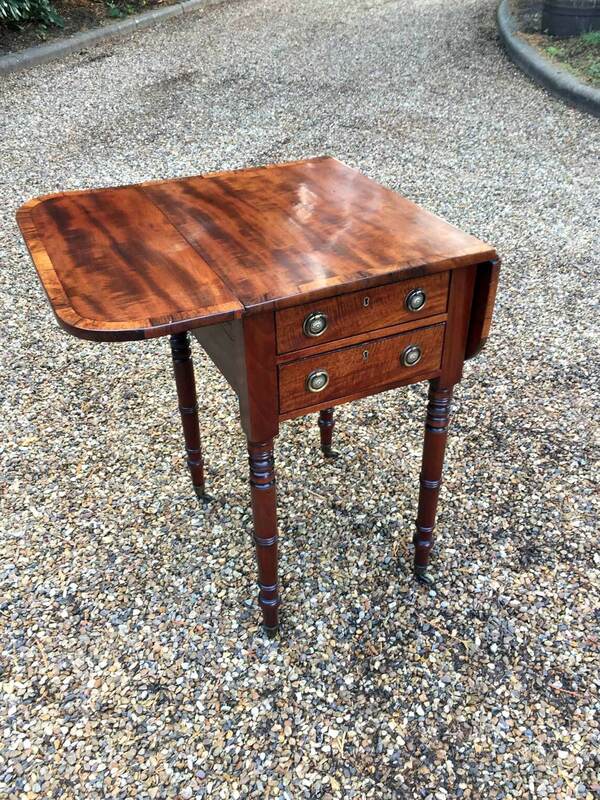 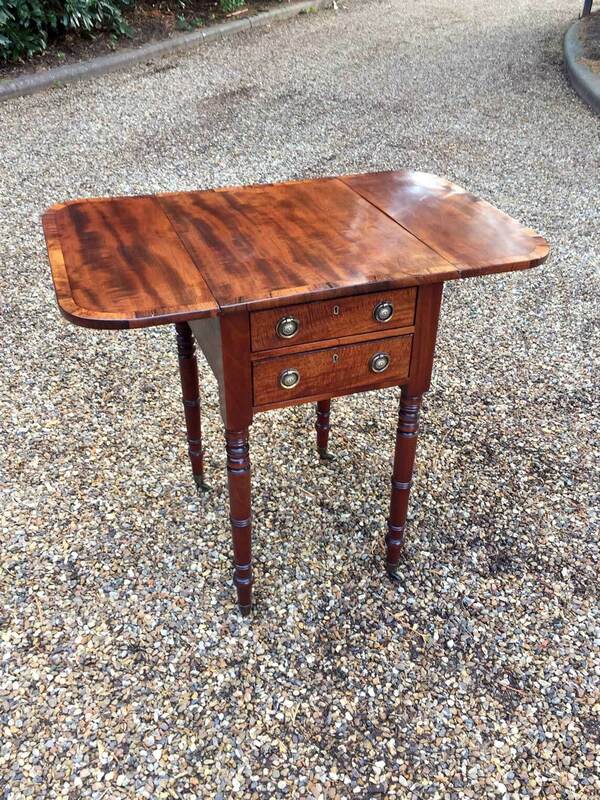 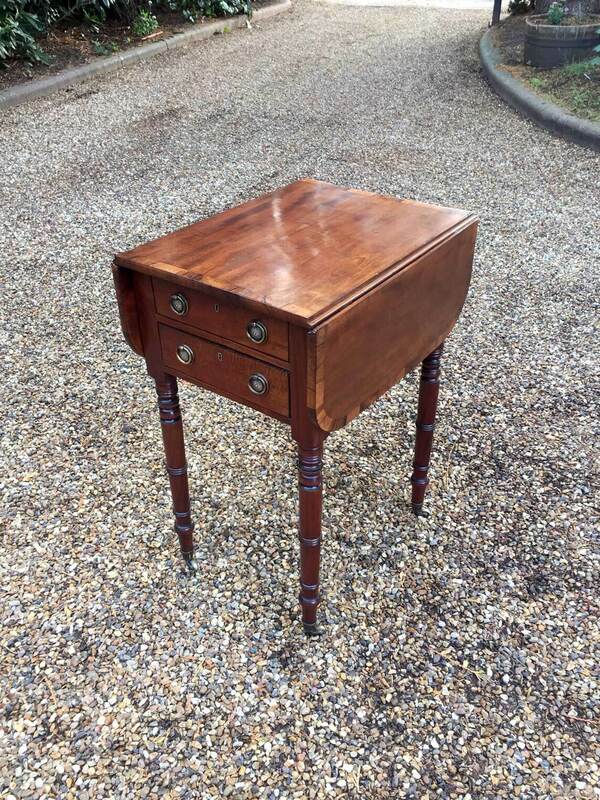 This very attractive small Georgian Mahogany Work Table with Drop Leafs and Rosewood Cross Banding stands on turned legs with brass cups and original china castors. 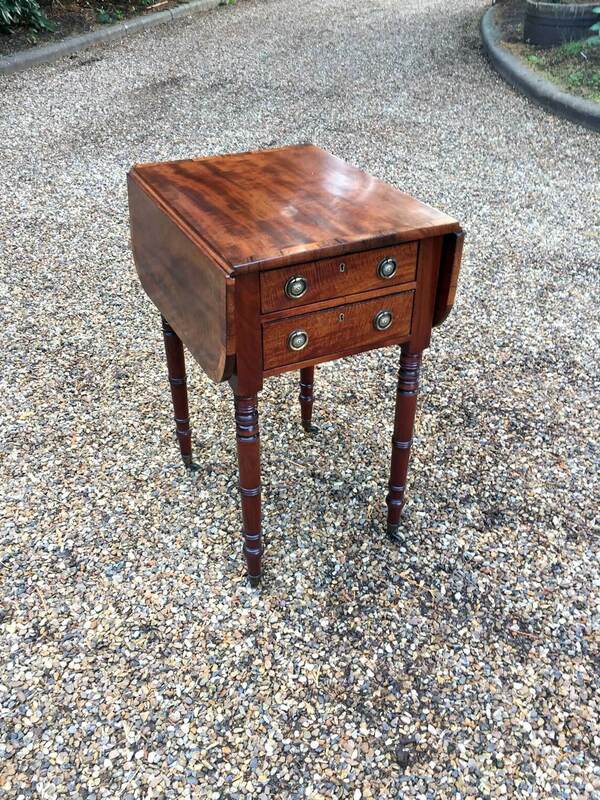 The front of table has 2 top drawers decorated with brass ring pulls. 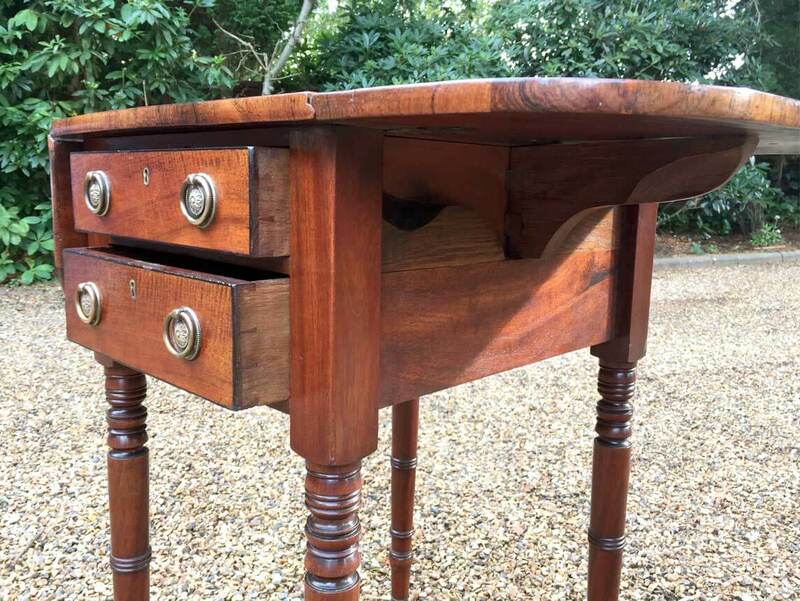 The back facing has decorative dummy drawers which mimic the front, so the table can be used as a centre table.